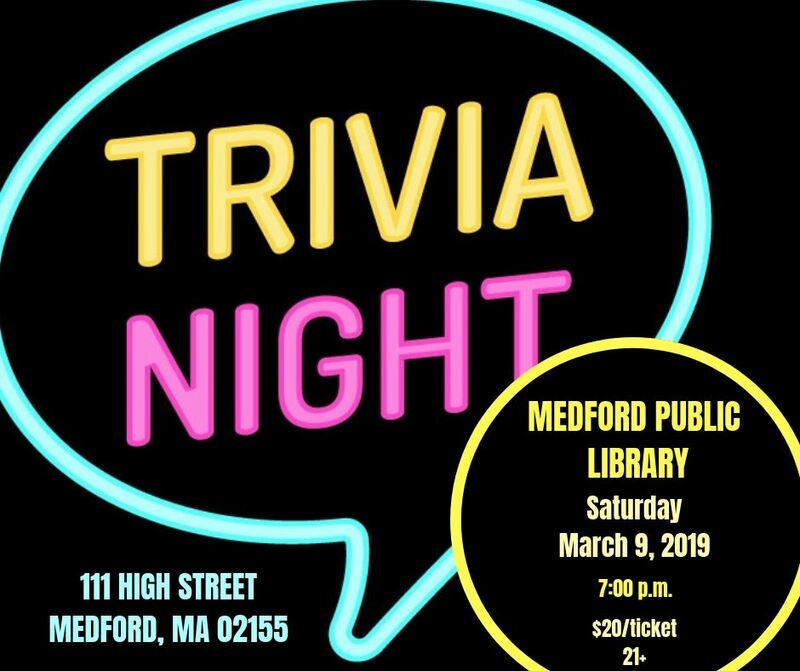 Friends of the Medford Public Library - Trivia Night Returns! Purchase your tickets before March 1 and receive a bonus raffle ticket! Tickets include snacks, desserts, and coffee as well as the opportunity to show off your literary and local knowledge while supporting two great causes (The Friends of the Medford Public Library and the Medford Historical Society). There will also be a raffle and cash bar. This event is 21+.